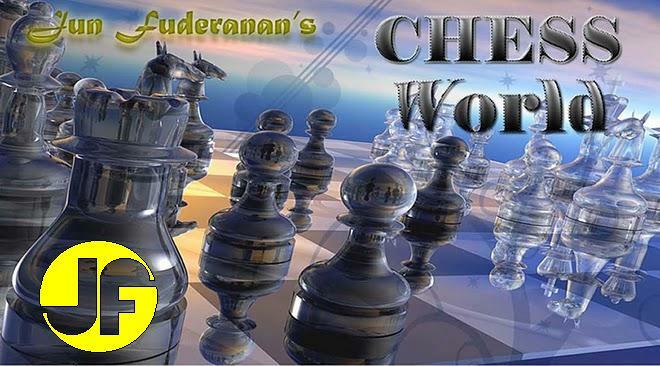 Neophyte chess players are sometimes haunted by memories of knight forks. But even grandmasters find themselves immersed in similar situations. The game below is a fine example. Black intends to follow-up with c5, but the resulting position created a weakness on white squares. Reinfeld recommends 11....c5 as a more energetic move. 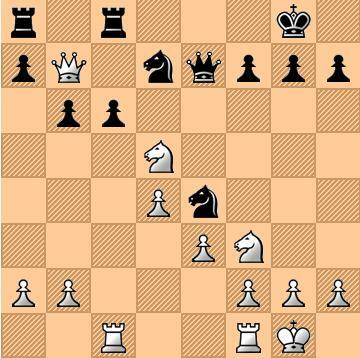 The Knight could not be taken because of 16. Rxc8 winning a Rook. Black loses his Queen if 16....Qxd5, 17. Rxc8 ... and also if the Queen takes the Rook by 16. .... Qxc6, then 17. Ne7+. If 16....Rxc6 then 17. Qxa8+ Nf8, 18. Qxc6 Qxc6, 19. Ne7+ and this leaves White ahead in material. However, in this variation, Black could have prolonged the game a little longer with 17....Nb8, 18. Ne7+ Qxe7, 19. Qxb8 Qf8, 20. Qb7 Re6 (not 20.....Qe8, 21. Ne5! ), 21. Rc1 Re8, 22. Ne5 (with the idea of 23. Rc7) f6, 23. Qd5+ and White still wins after 23....Kh8, 24. Nf7+ Kg8, 25. Nd6+ Kh8, 26. Nxe8 Qxe8, 27. Qxe4!.